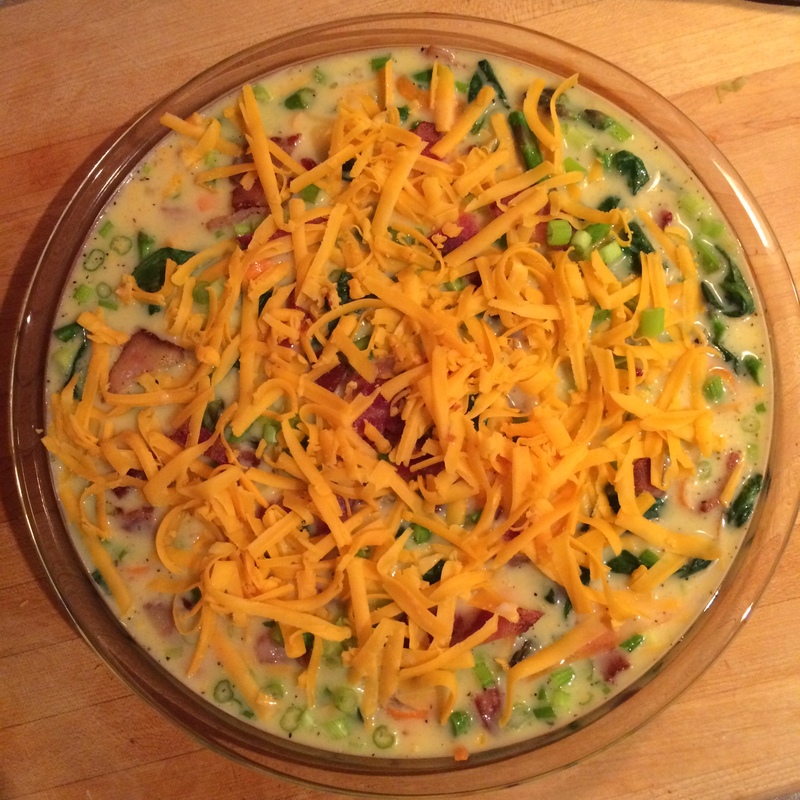 It’s been too long now since I’ve posted……..and this recipe is way overdue cause I made it 2 nights ago…… shame on me. Everyone in the family has been sick now at least twice this season with the common cold and flu and it’s kept me feeling pretty tired and I was almost becoming burned out, I think. I’m one who almost never gets sick, but this is the first year with Sophia going to school, so I guess that is what changed it. After all, everyone knows it’s the kids who drag the germs around, lol. 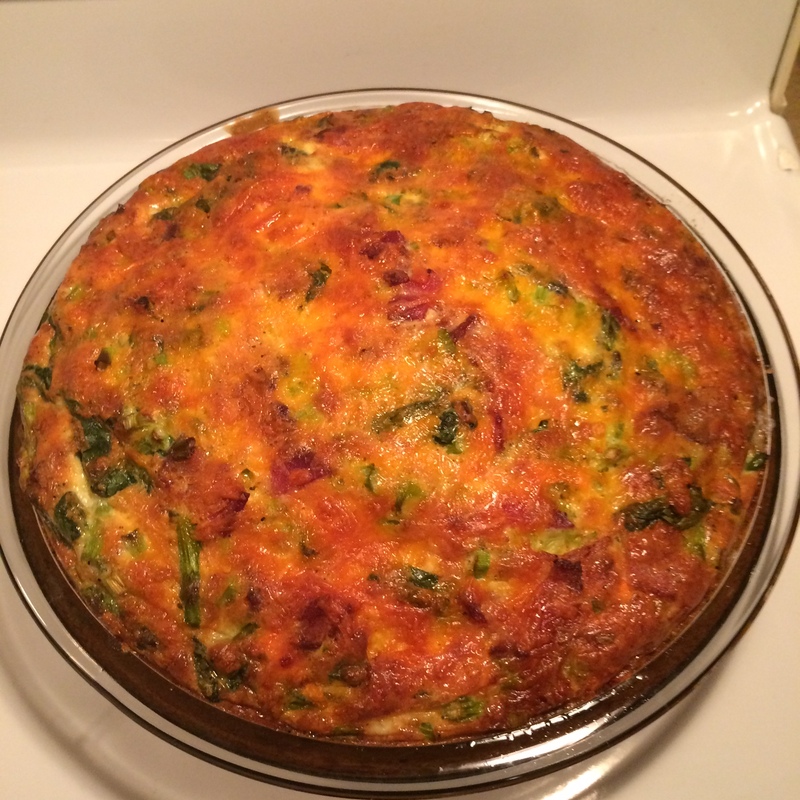 She calls it jackpot crustless quiche. 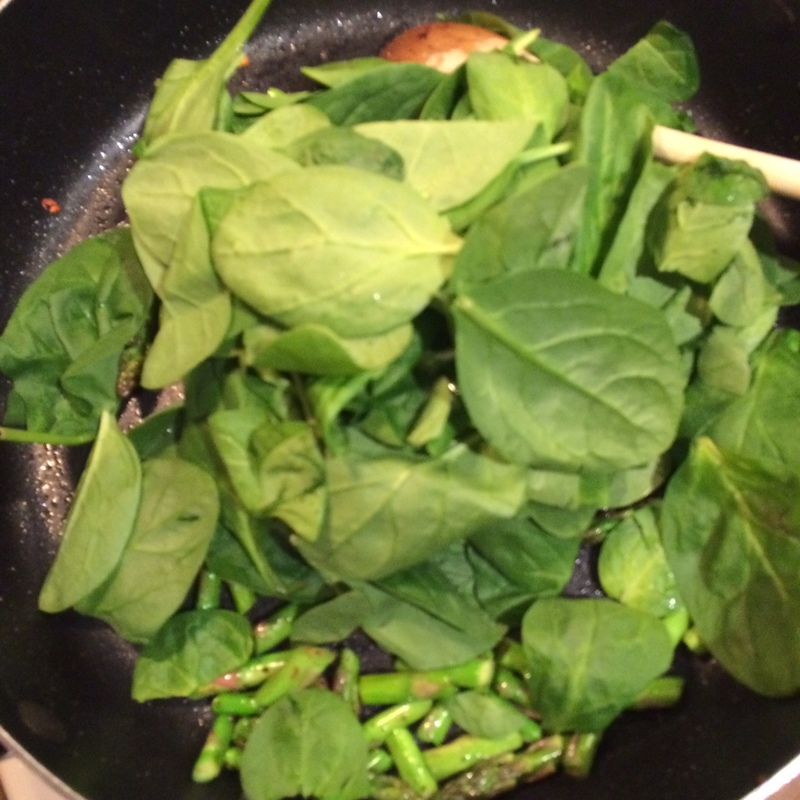 It’s one of my favourite recipes to make when I want something hearty and satisfying, but still healthy at the same time and my husband loves it so it’s a win win. 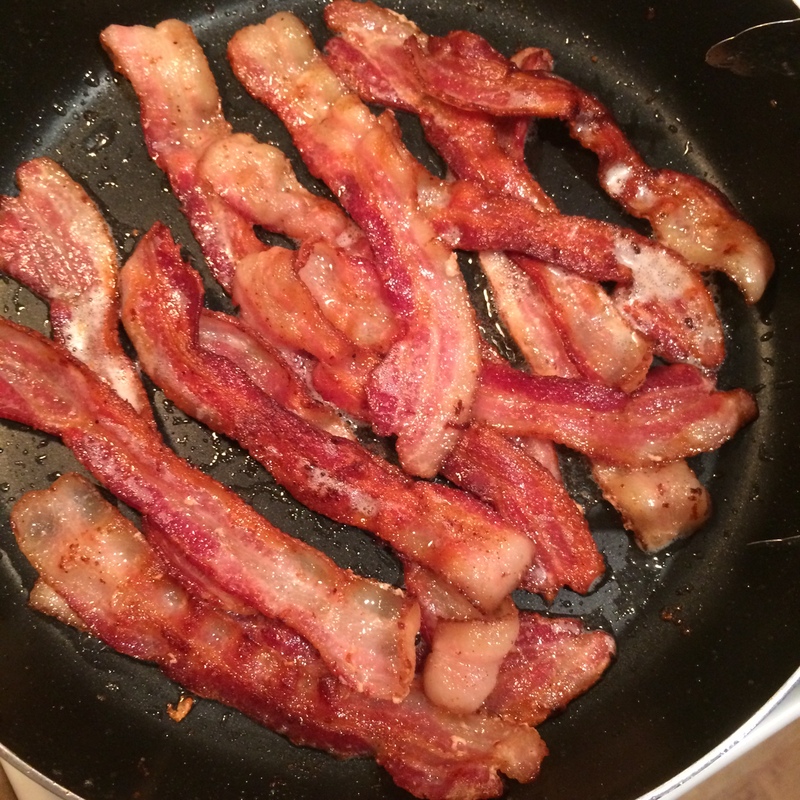 First I start by cooking the bacon and getting it nice and crispy. Then once the bacon is done cooking, I drain off pretty much all the grease, cause who wants their food drenched in bacon fat? 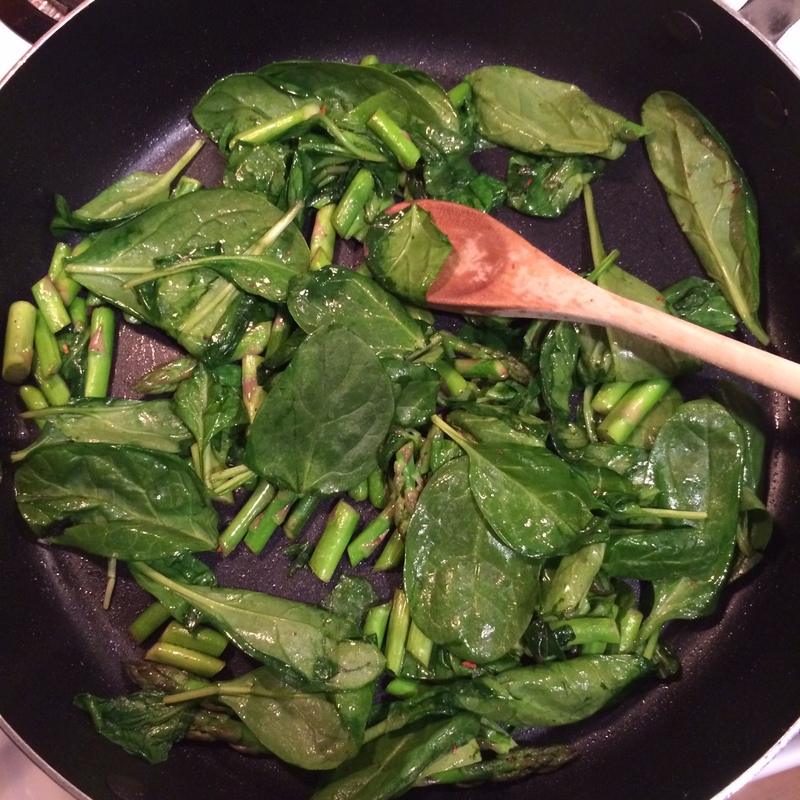 Whatever is left in the pan is fine, cause it just adds awesome flavour. 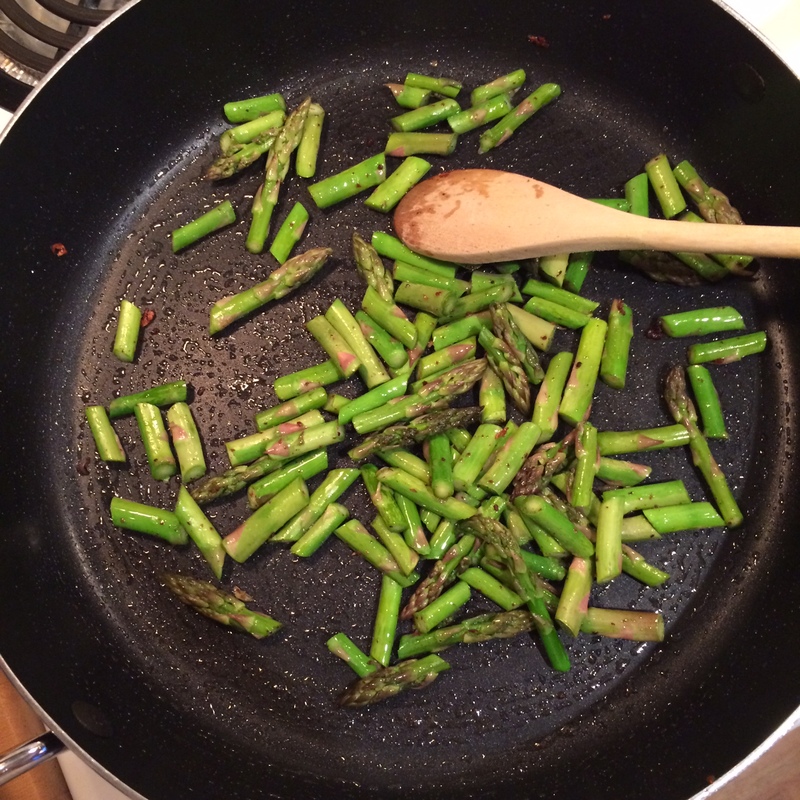 I chopped up about 1/2 a lb of asparagus into 1″ pieces and sautéed that in the same pan. 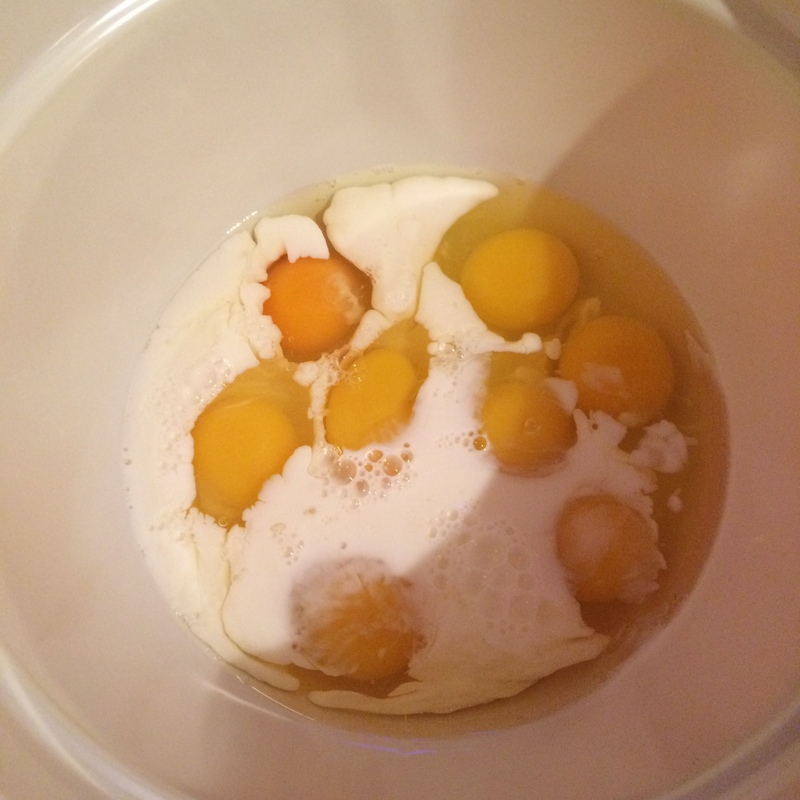 In a bowl, mix up 8 eggs and 3/4 cups of milk. 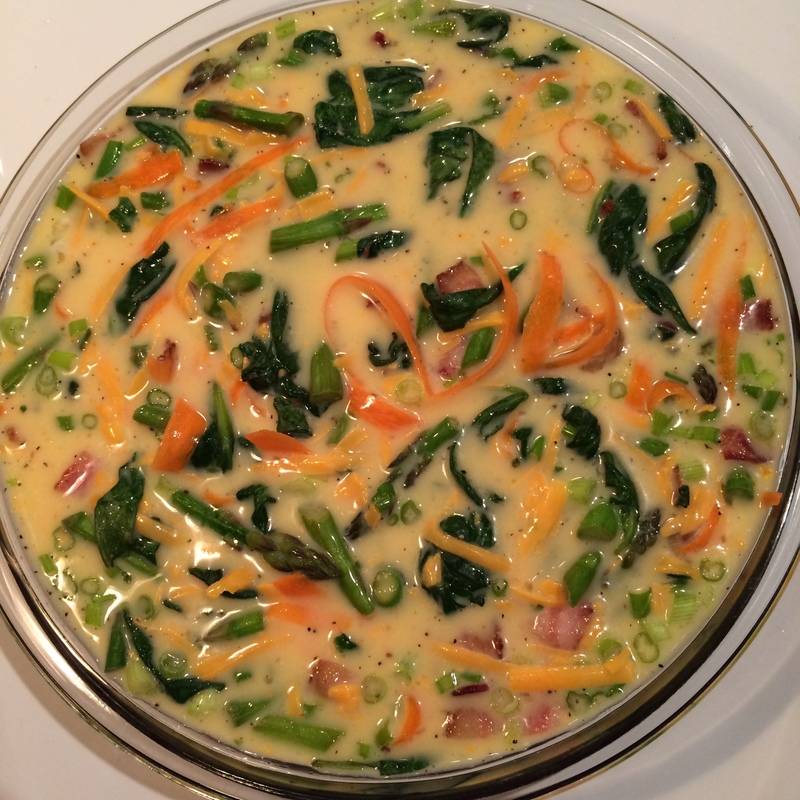 To that, I added 1/2 a cup of chopped green onions, a peeled carrot, 5 slices of diced bacon and about half a cup of grated cheese, reserving the other half cup to go on top before putting in the oven. 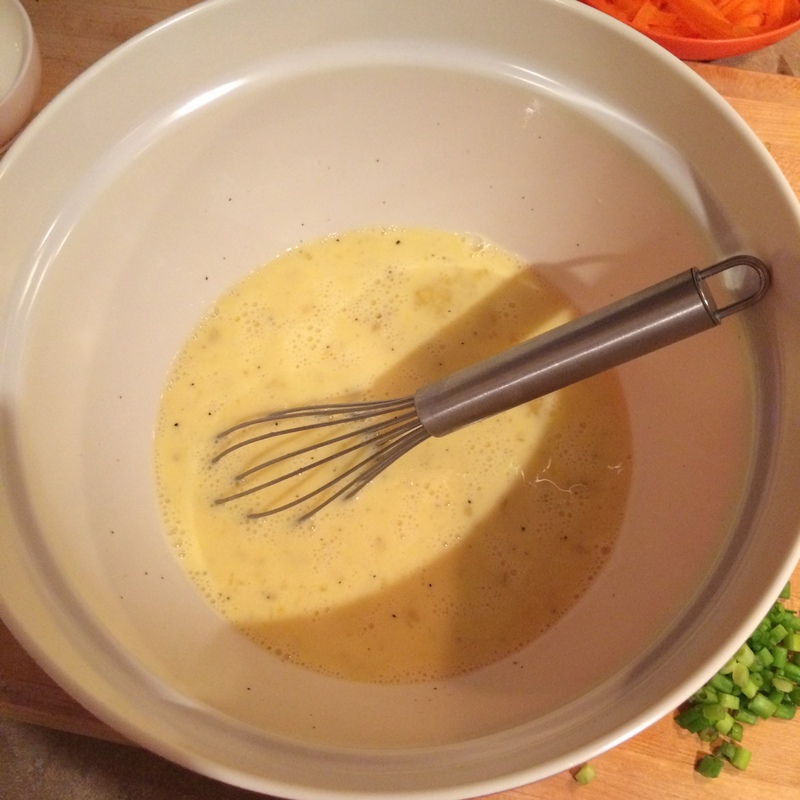 Grease a pie plate and pour in the egg mixture and top with the remaining cheese. That goes in the oven at 350 degrees for 40 minutes. 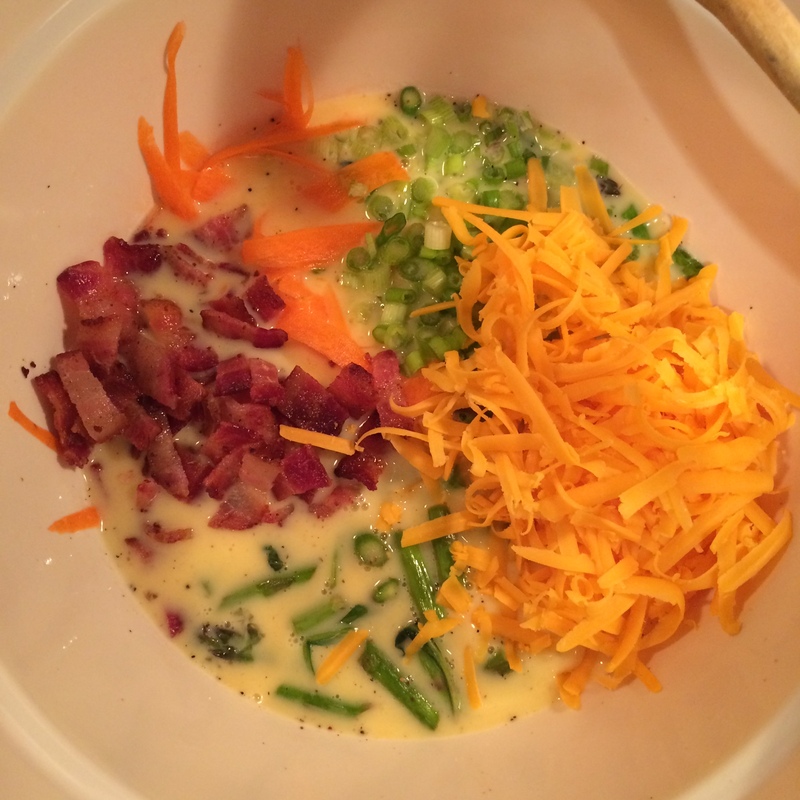 I like this dish a lot cause it’s so speedy to make and everyone loves it. 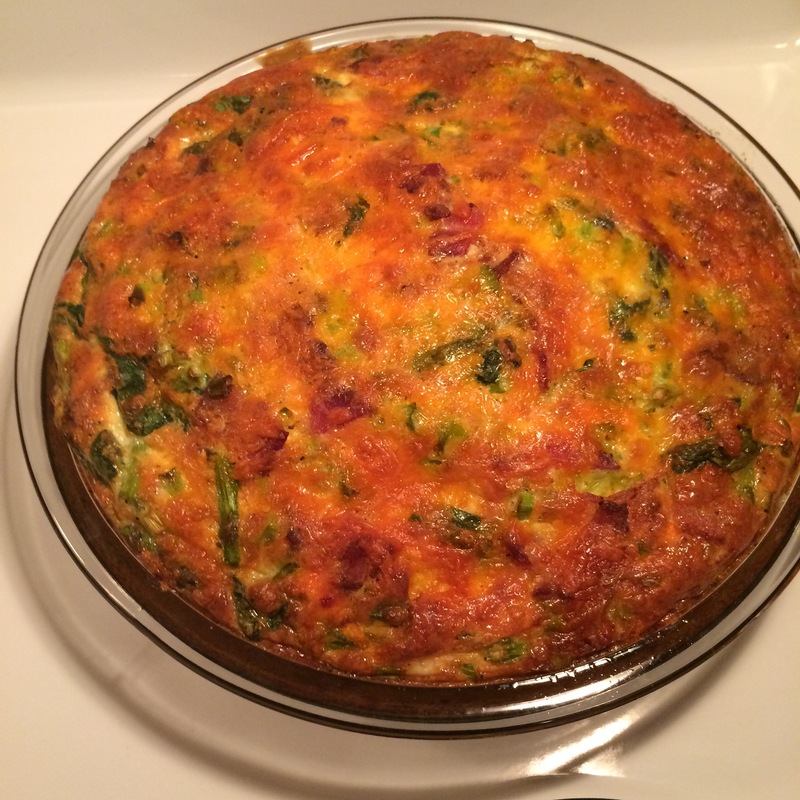 I served this with toast and fried tomatoes (YUM), but since it’s a savoury egg dish, it goes well with pretty much any salad, or it’s a complete meal itself cause it’s loaded with veggies!